Med-Care Senior Solutions Insurance | New Medicare Cards are Coming! Beginning late March or early April 2018 Medicare beneficiaries will begin receiving their NEW Medicare health insurance cards. They will go out in waves to the millions of beneficiaries and expected to be completed by April 2019. 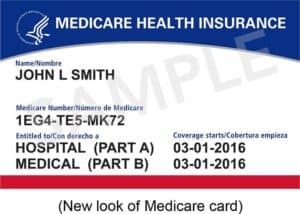 Click here to read additional information associated with the new card directly from the Medicare.gov website. This is an excellent opportunity to engage your current clients and remind them that they will be receiving their new card sometime over the next year, and if they have any questions to be sure and call you. In addition, you can also take this opportunity to see if they would be interested in obtaining from you Hospital Indemnity, Final Expense, or Critical Illness protection, as well as a Group Medical Plan if they are business owner.